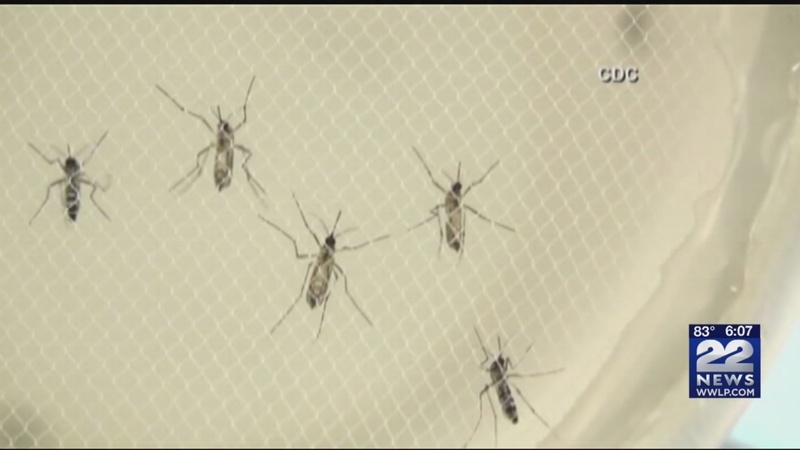 (WWLP) – Public health officials have increased the threat to the West Nile virus from low to moderate after three people became infected. "The vast majority of people who become infected do not get sick," Dr. Ira Helfand from the Family Care Medical Center in Springfield. "It's still a disease that needs to be taken seriously." The Department of Health announced it is increasing the state's threat to the West Nile virus from Tuesday to Tuesday. Last week, health officials announced three people were reported cases in the districts of Worcester, Middlesex and Suffolk. And in Hampshire County, a horse had to be euthanized after it became infected with the virus. So far, a total of 45 states and the District of Columbia have reported infections in humans, birds or mosquitoes. West Nile virus spreads to humans and animals after being bitten by an infected mosquito. Mosquitoes become infected after feeding an infected bird. in 150 to 200 people who become infected with the virus develop more severe meningitis or encephalitis," Helfand said. "And this is especially true for older people, in those cases it can be a pretty serious illness." The most effective way to prevent the West Nile virus is to prevent mosquito bites. Wear long sleeves during peak hours, from dusk to dawn, and use insect repellent with DEET.